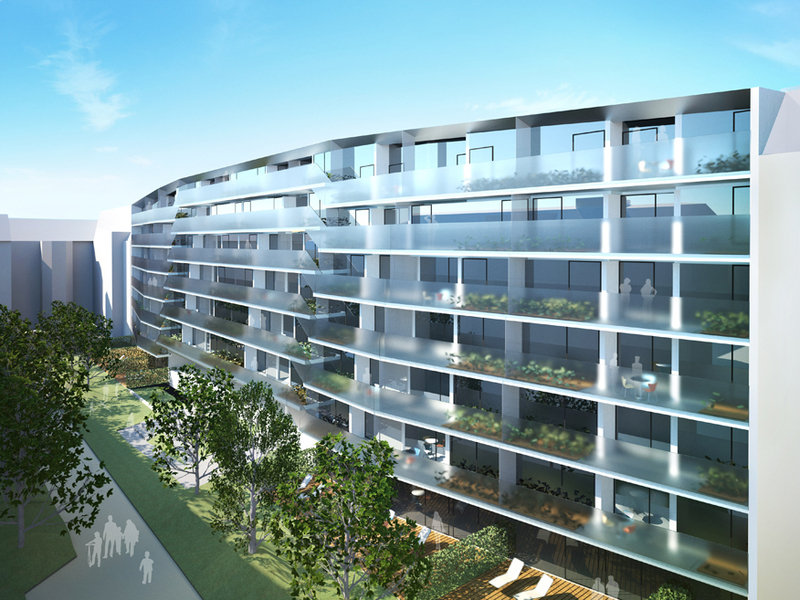 The social housing project provides 62 apartments varying in size, layout and typology. 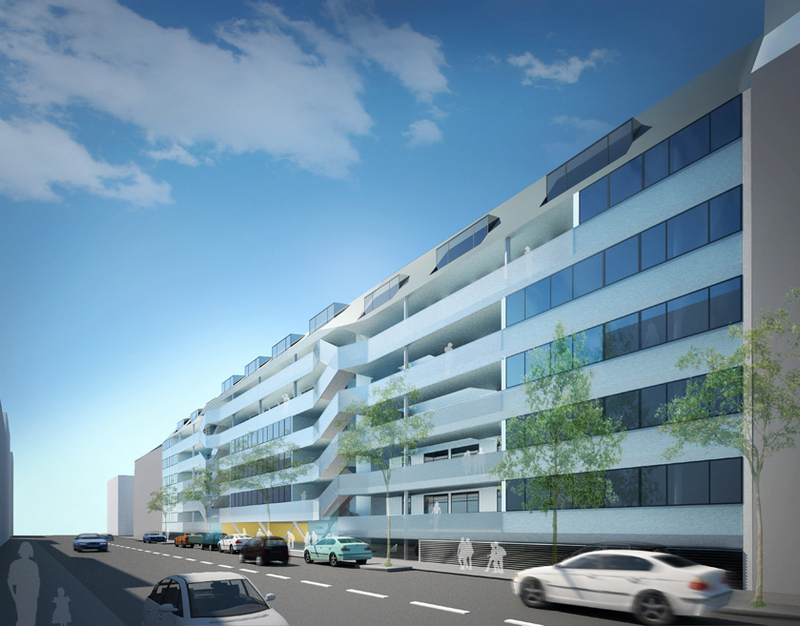 The building is a urban infill, situated in the 14th district of Vienna. The building site is located at the northern side of a former small industries complex now turned into a creative industries cluster. The building reacts in size and height to the adjacent buildings closing the former gap in a thoughtful manner. The architecture is coined by the idea of transparency, flexibility and openness. Big window openings provide light and spatial generosity. The terraces, balconies and loggias adjacent to the living- and bedrooms amplify the spaces towards the south. A calm and quiet courtyard is open for all inhabitants. The Entrance zone of the building has large covered areas and common shared spaces. This zone is designed in a open way for people to meet and connects to the courtyard as an extension of public space. These shared spaces enable interaction an development of an engaged neighbourhood.